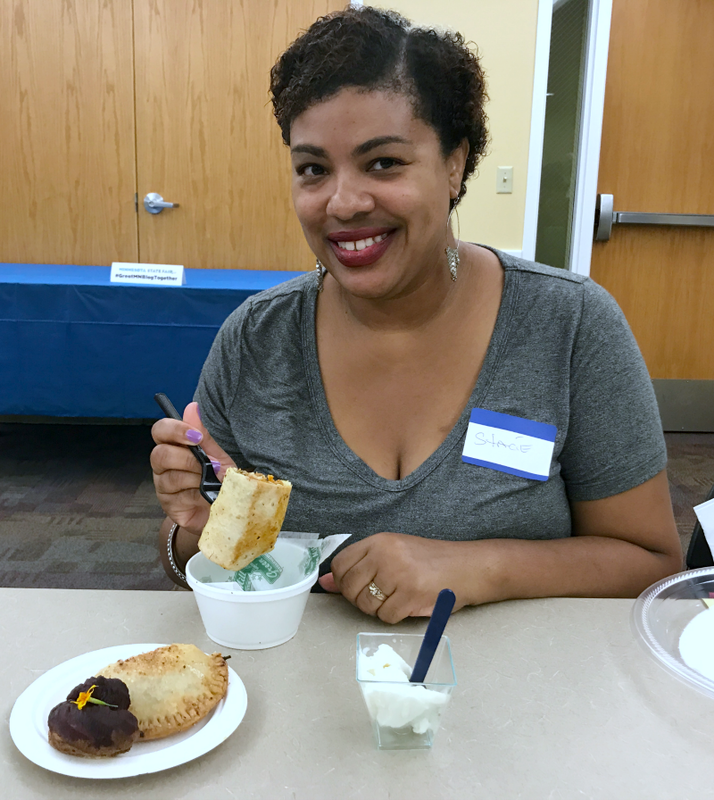 For the third year in a row, I was invited to try out the new Minnesota State Fair Foods at the Great MN Blog Together event held on the Fairgrounds in St.Paul. 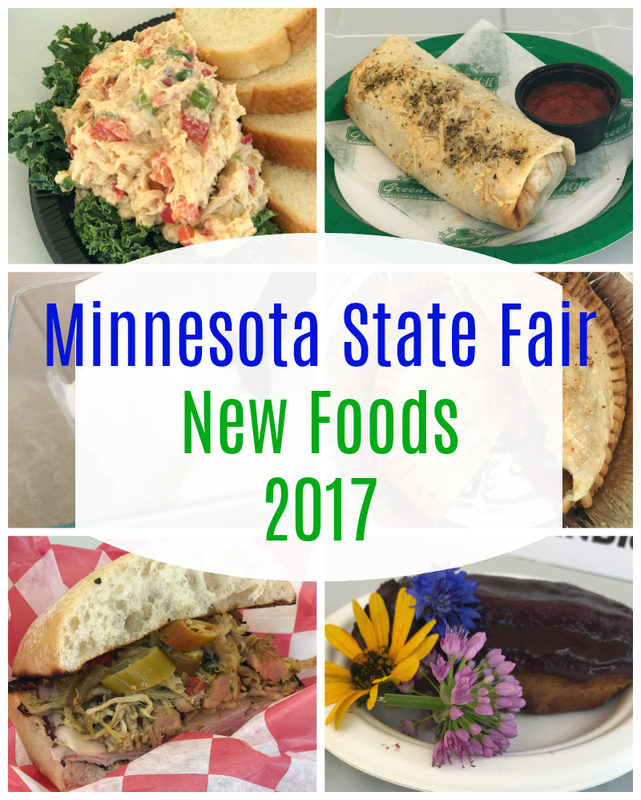 Take a look at a sampling of some of the new Minnesota State Fair foods I got to taste. 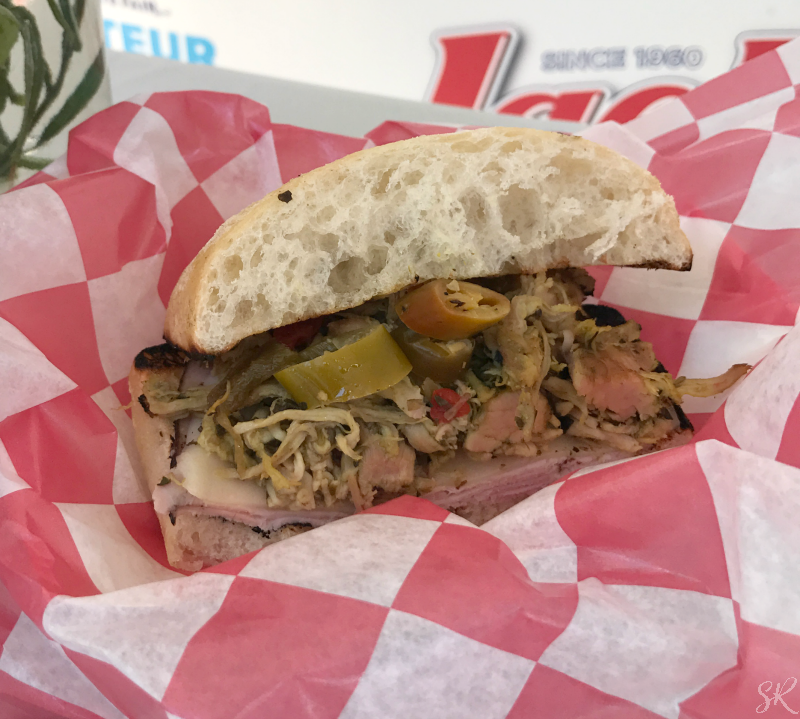 Mancini's al Fresco - Italian Bomba Sandwich. Beer braised pork, prosciutto, fontina cheese, Italian relish, on a ciabatta roll. My fist bite was so spicy that began to choke a bit. I wasn't expecting the spice from the relish but it was good. 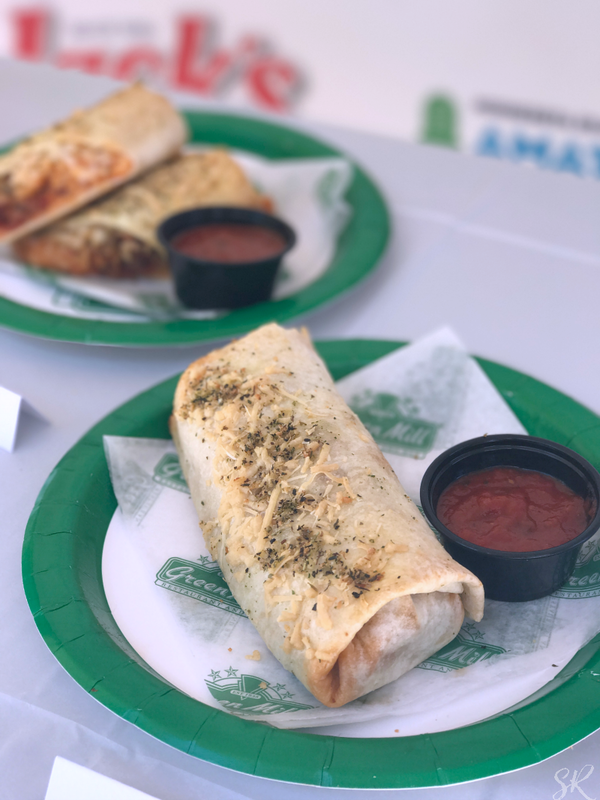 Green Mill - Pizzarito. A pizza stuffed burrito. Pepperoni, Sausage, risotto, mozzarella, and marinara. Delicious! Easily my favorite. 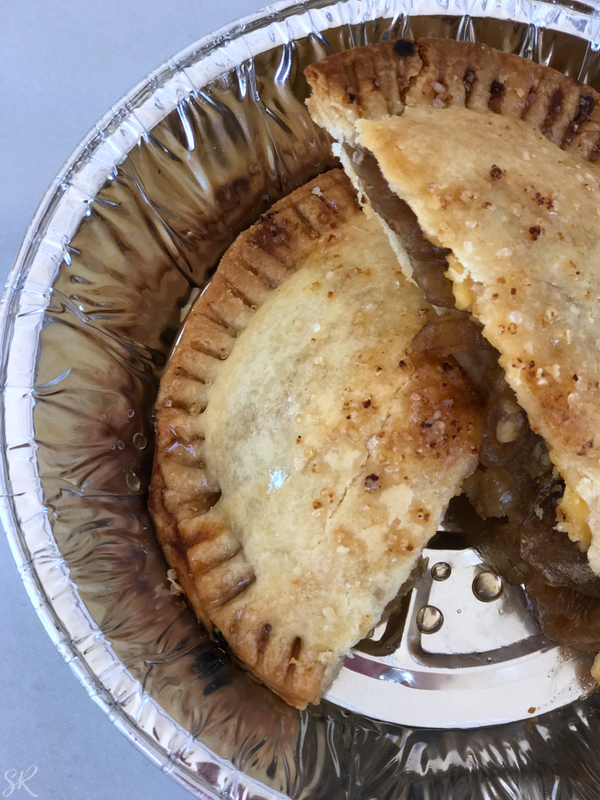 Sara's Tipsy Pies - Brown Ale and Onion-Gouda Tipsy Pie. Onions caramelized in brown ale and Gouda cheese. I thought this was an apple pie y'all! I was pleasantly surprised at how good this onion pie tasted. Farmer's Union Coffee Shop - Sweet Corn Blueberry Eclair. 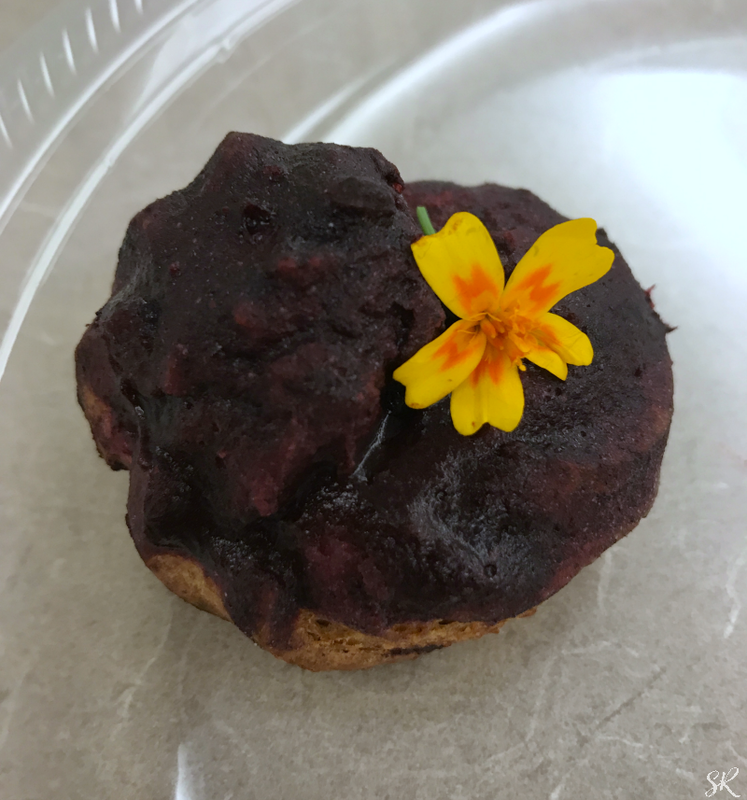 A Kernza flour eclair filled with sweet corn pastry cream topped with blueberry glaze. It looked sweet but really wasn't. Not for me, but that's ok.
For a complete list of the new MN State Fair foods, visit the official website here. We all know that the the MN State Fair Foods are amazing but the entertainment can't be beat. Here's a quick run down of where to go for entertainment that your family will enjoy. Family Fair Stage - It's all about the kids! 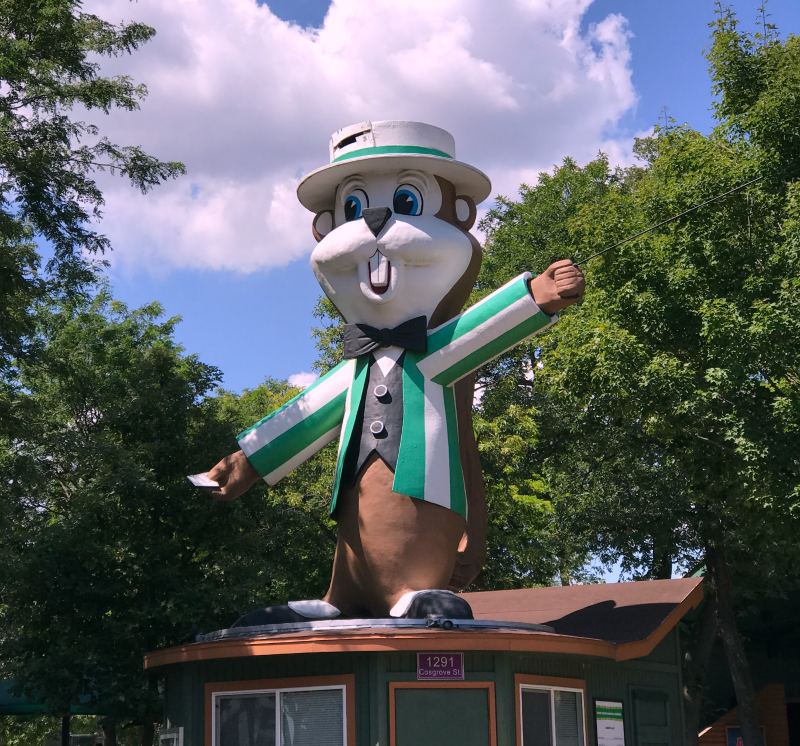 What is your favorite part of the MN State Fair? Hello!!! May I please have one of everything, please?! Oh my, I love State Fair foods. Ours comes in October. I am looking forward to the roast beef sandwiches and corn dogs. 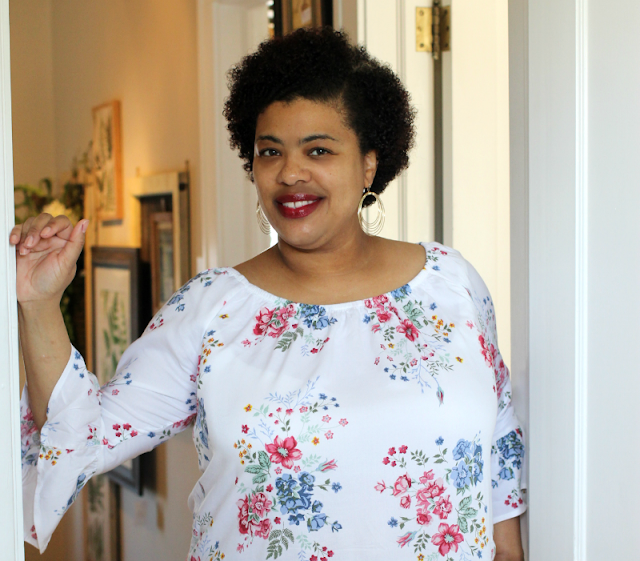 Girl yes, the state fair is everything! I can't wait to throw down. Yum!!! We have a state fair coming to town next week. I can't wait to go!